20.5 cm diameter X 22.0 cm height x 14.5 cm at rim- approx. 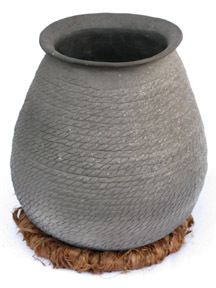 Large well fired corrugated jar. Includes juniper pot rest.